If Alcohol is Socially Acceptable: Why Can’t I Drink? Alcohol is everywhere. Alcohol is a staple at social gatherings, music events, dinner, networking, and other work or social events. If you are in recovery, you may have plenty of stories about how socialization turned into embarrassment and another regretful alcohol fueled evening. Once you begin your recovery journey, there will be no more embarrassing stories with alcohol as the main character as long as you stay sober. You may be unable to completely avoid work or social obligations, but accepting that you can’t drink will be step one. Recovery is not a punishment. Recovery isn’t about white knuckling it through social events. You can enjoy yourself without taking a drink. First, you need to understand and accept that you can’t drink alcohol. The reason is that if you are in recovery, even one drink is considered a slip. More importantly, that one drink could set you up for a devastating return to active addiction. Not everyone makes it back from a relapse. The biological reason that you can’t drink because you are physiologically dependent on alcohol. Once that line has been crossed, you can’t go back. Alcohol changes the brain’s pleasure and reward system. After a relapse, the pleasure receptors in the brain light up. This means that the addiction is back in full force. After a slip, withdrawal and tolerance builds again quite quickly. Even one drink means you are not practicing sobriety. Trying to learn to socially drink just doesn’t work. Your one drink can turn into two drinks and before you know it, you are no longer sober, and alcohol related consequences can begin all over again. Once you’ve maintained some sobriety, you will begin to notice how wonderful life is without alcohol. Each morning is a new gift. There is no more regret or shame. Recovery makes you a stronger and healthier person. Overall, acceptance is the key to many problems. You must accept that alcohol is dangerous for your physical and emotional well being. As time goes on, each sober day gets easier and easier to work through. Pretty soon, recovery becomes second nature. Hired Power is an expert in bringing compassion and experience to addiction treatment. 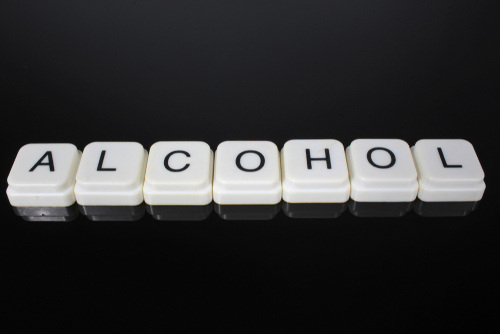 If you want to learn more about how alcohol works and how to start sobriety, call Hired Power today at 714-559-3919. Hired Power is the ally you need to help you become empowered in your recovery journey.